There are few players out there who can actually have legitimate hopes of one day winning the FIFA Ballon d'Or. 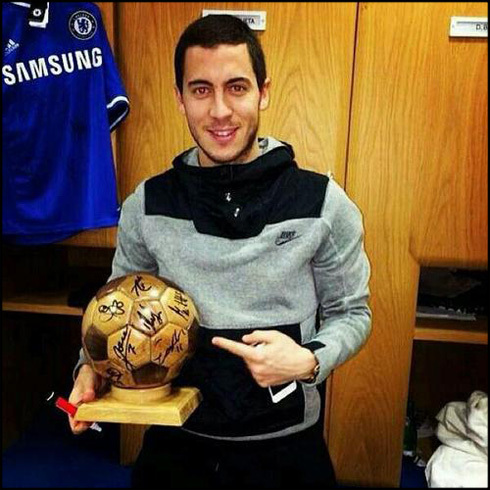 However, many seem to believe that Chelsea's wonderboy, Eden Hazard, is actually on the right track to be a serious contender for this award in a few years. 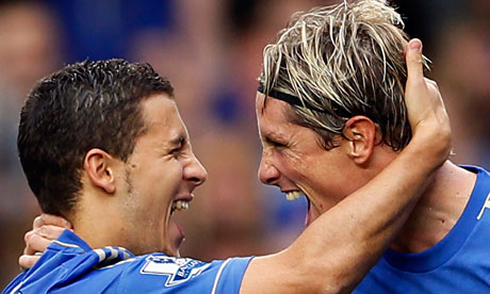 Can the Belgium wizard really compete against the likes of Lionel Messi and Cristiano Ronaldo in a near future? Few would certainly disagree that Eden Hazard is Chelsea's biggest star of the moment and one of the most promising prospects in football. The 23-year old midfielder has already scored 9 goals in the English Premier League this season and under José Mourinho's command, he has been looking better than ever. He was already one of the 23 nominees for the FIFA Ballon d'Or 2013 award, which has been won by Cristiano Ronaldo last Monday. The Belgium international is well aware that he still needs to improve his game in order to reach the same level of players like Barcelona's Lionel Messi and Real Madrid's Cristiano Ronaldo, but in an interview recently granted to the "Evening Standard" in England, he admitted that his biggest dream is to one day lift the FIFA Ballon d'Or. He'll have another great chance to prove his value this Sunday afternoon, in a thrilling Chelsea vs Manchester United clash for the Premier League. 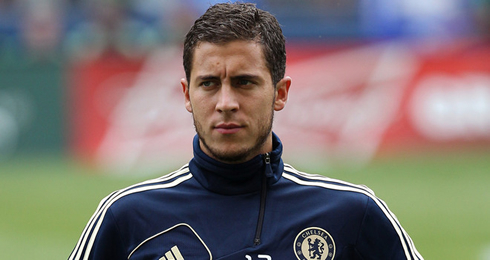 Eden Hazard: "I've always said it since I was a little kid, that my dream is to win the FIFA Ballon d'Or. I was given the opportunity by Chelsea to play on a stage with plenty of visibility, so I believe that if I perform well here, then one day I can be regarded as a main contender for the Ballon d'Or. Just seeing my name in that 23 shortlist this year was already a true pleasure, especially since I was one of the youngest players to be featured there", pointed out the former Lille midfielder, who has just turned 23 last week. 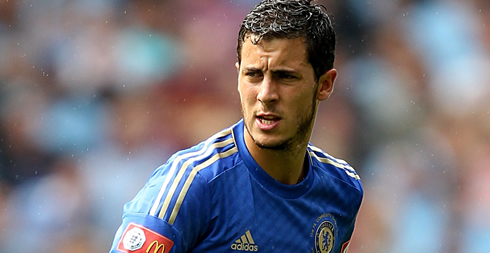 If there's any case of premature success, Hazard can definitely be seen as one of those. He made his debut for Lille OSC in the French League when he was still 16-years old and completed his last season in France (2011-12) by scoring 20 goals in 38 appearances. 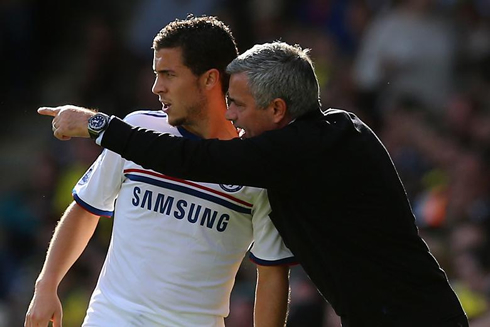 After one year and a half in Chelsea, Hazard is improving by the day and a big reason for that to happen might be his new coach and the former Real Madrid manager, José Mourinho. 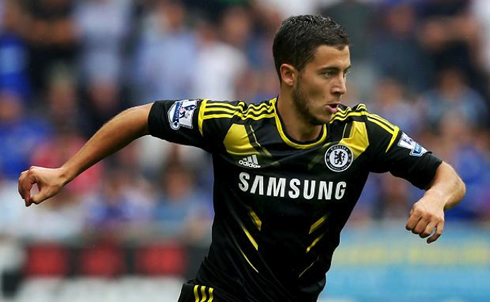 Hazard: "I think I got very lucky throughout my life, since everything happened very quickly in my football career. I signed my first professional contract at a very young age and I also started scoring goals very early. When I arrived to Chelsea, I was highly motivated to show my value and that's why I think that things went my way right from the first day. 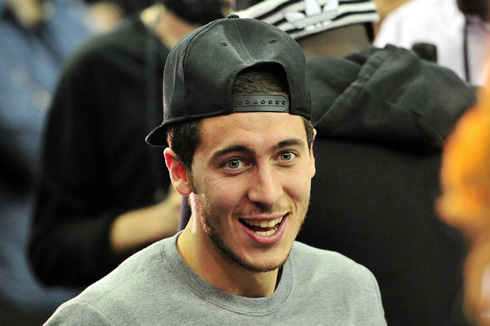 Hazard: "Usually, I try not overthink about my goals and assists numbers, since my main focus is to always deliver a good performance for the team. Whenever I play well, the goals and assists just end up coming along in a natural way. I believe that thinking too much on scoring goals can actually be counter-productive at the end of the day", remarked the Chelsea star. Cristiano Ronaldo next game for Real Madrid will be against Betis next Saturday afternoon, in another fixture for the Spanish League "La Liga" (January 18, 2014). You can watch Juventus live stream, Betis vs Real Madrid live, Liverpool vs Aston Villa, Chelsea vs Manchester United and Arsenal vs Fulham, all matches provided from our football and live soccer section.